Passive Versus Active Solar Hot Water Heaters: Which Is Better? As a homeowner, having options is great—you wouldn’t want just one paint color to choose from, would you? But it also makes the purchasing process a little bit more complex, especially when it comes to important decisions, like saving energy throughout your home. And when you decide to offset some of your utility costs with a solar hot water heater, you definitely have options. Specifically, buying a solar hot water heater for your domestic use can sometimes feel like learning a new language. Passive systems, active systems, batch collectors, heat-transfer fluids—it all reads like Greek to the uninitiated. Fear not, however. Like most technologies, those words are just jargon for some fairly simple technical concepts. 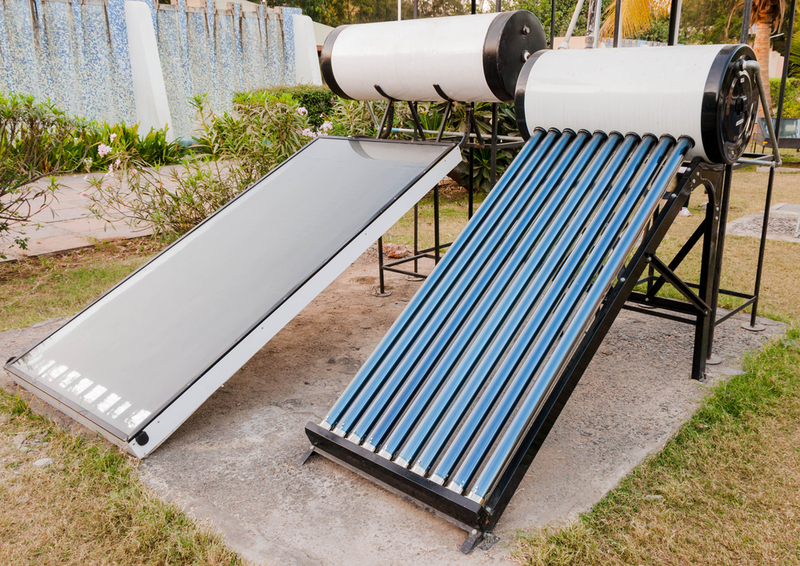 However, you will need to learn just a little bit about how solar hot water heaters operate before you can make an educated decision about what you want. Specifically, you’ll need to decide whether you’d like a passive or active solar heating unit. What exactly does that mean? Read on for the 411! What’s the Difference Between Active and Passive Heaters? Want to Operate Your System in Winter? Get an Active Unit. The Final Verdict: Which Is Better? The main difference between active and passive solar hot water heaters is their internal components. Active systems have an electric circulation pump and valve system that moves water throughout the unit. Passive water heaters, on the other hand, rely on convection—or the tendency of a hotter fluid to rise—to distribute hot water to a home. Both active and passive systems may be classified as either direct or indirect, which really just refers to whether or not the unit heats the water directly in the collector or by using a separate heat exchanger. Active systems have some advantages in terms of performance and access, while passive systems have fewer working parts—which makes them easier to maintain. They also tend to be less expensive than active solar water heaters. Here’s a more detailed look into those pros and cons. Active units may cost more, but there’s a reason for the extra expense. With an electrical circulation system included, you can operate your system all year-round. If you live in a particularly cold area, you’ll need to opt for an indirect system that pumps a heat-absorbing liquid through the pipes and heat exchanger. That keeps the circulation system from freezing during winter lows. In some milder climates, thermosiphon passive systems, which rely completely on convection, may be enough to heat and distribute water for the majority of the year. However, these units usually have large collectors, which can increase the likelihood of freezing. If you want worry-free water distribution, you’ll generally need an active unit. Because passive units work without any electricity or pumps, the collectors typically need to be pretty massive to store enough water for the home. In addition, they often have to be located high up—on a roof, for instance—so that the water can make its way throughout the home without the aid of a pump. A batch collector full of water can be fairly heavy—and for some roofs, that’s an absolute no-go. 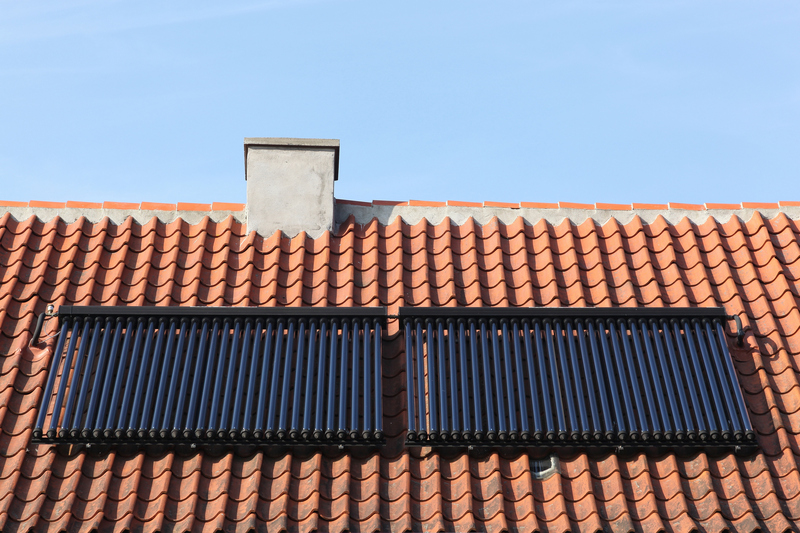 A solar hot water heater will cost you somewhere between $800 to $6,000 installed, but a passive system definitely falls on the lower end of that scale. On the other hand, it would be difficult to find and install an active unit for less than $2,500. The type of collector and the size of your system and your storage tank will all affect your final costs—also, you may see some savings if you live in a warmer area. However, according to studies performed by ENERGY STAR, a solar hot water heater cuts energy costs in half, by average—so that’s a small price to pay for year-round energy savings. Don’t get rid of your conventional hot water heater if you install a passive solar unit! Without electrical components, passive systems have no way to store energy in case production drops off. So if you have a few cloudy days in a row, for instance, you may run out of hot water in your home—and that’s no fun! For this reason, most homeowners tend to keep their existing heater as a backup. All in all, that lowers your passive unit’s efficiency, compared to an active system. Obviously, the right kind of system depends on your needs and budget, but overall, if you’re going to be spending $1,000 on a passive unit, you might as well save up and go for an active model. That way you’ll be able to employ your system year-round, and you won’t need to rely on backup energy from a conventional model. And you’ll earn back your initial investment faster, too, since you’ll save more on your monthly utility bills. Still, if your hot water needs are fairly low, or if you’re just looking to offset some of your water heating, a passive system may be for you. Hey, we weren’t lying when we said you have options!